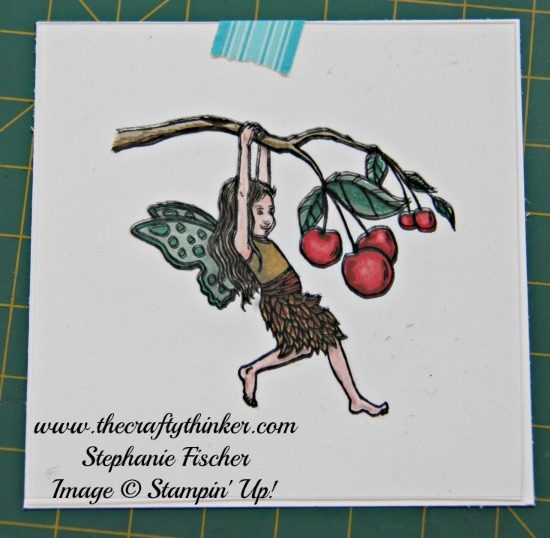 This card is entered into the Crazy Crafters Team Project Highlights this week. Click here to see all the other great projects and vote for your favourites. Fairies and magic seem to go hand in hand, don't you think? The mechanism that I used for this magic card is the same as I used for The Magic Stag. As before, the base card is 6" square and finished Magic card section is 4" square. 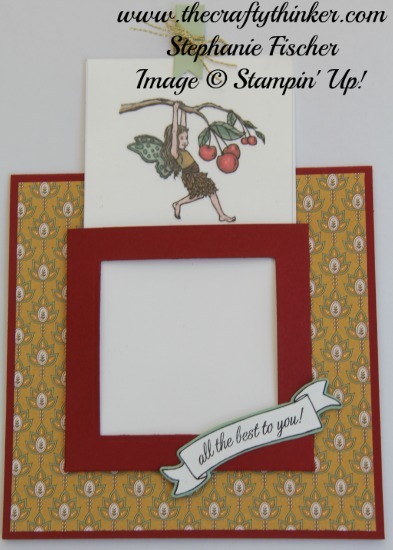 Both card base and the frame for the magic section are made from Cherry Cobbler cardstock. Pull up the tag and the magic delights adults and children alike! The banner is from the Basket for You hostess stamp set and I gave it an edge of Mint Macaron. The fully coloured fairy has emerged! The tag is also made from Mint Macaron cardstock and I used the middle section of the two part banner in the Bunch of Banners die set. I coloured the image mostly using the Many Marvelous Markers. I watercoloured her skin and used a damp brush and piece of paper towel to lift some of the ink on the fruit to create highlights. 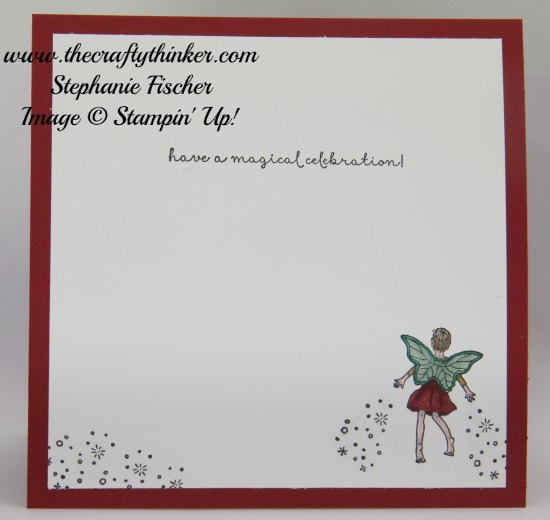 I couldn't resist putting another little fairy with some magic fairy dust inside the card.